Adopting a shelter or rescue pet is a wonderful thing for both of you. But sometimes, moving into a new home can be stressful for a dog or cat. 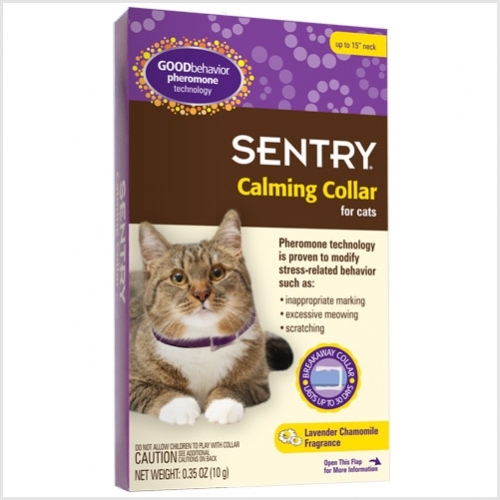 That's where the Sentry HC Good Behavior Pheromone Collar can help! The Good Behavior collar helps pets reduce their stress and anxiety levels, often the underlying cause of behavior problems. The collars release pheromones, a substance mother dogs and cats produce to calm their young, over a 30-day period. 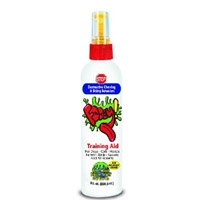 Farnam Comfort Zone Canine Behavior Modification Spray w/ D.A.P. (Dog Appeasing Pheromone) reduces or completely stops stress-related behavior including barking, urination & defecation, whimpering & whining, anxiety, chewing or other stress-related behavior.